Internet of Things (IoT), Big Data, Digital Twins, Blockchain, Artificial Intelligence and Machine Learning are all ‘hot’ topics. Most of us agree ‘PropTech’ is going to change the world. It offers new value opportunities to property owners, occupiers and managers. In Australia alone, we have over 200 PropTech companies. 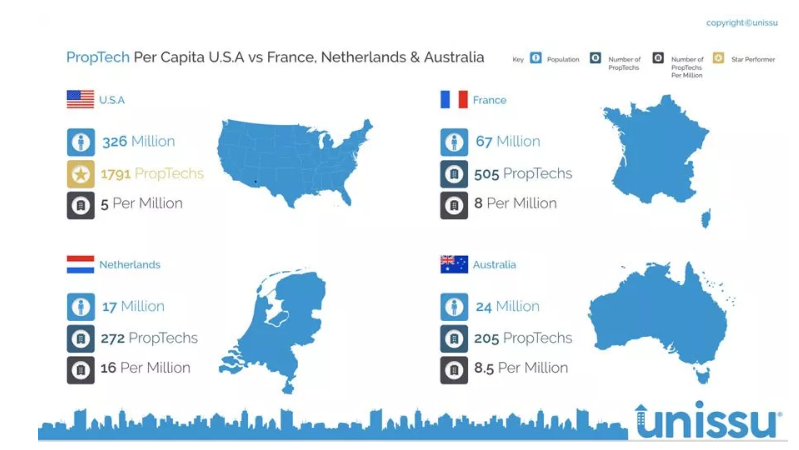 This makes us the second most prolific PropTech nation on earth, on a per capita basis. In the numerous building technology conferences, I’ve attended, I keep having one recurring thought. The absence of any significant commentary on the critical role that technicians and man-made data will need to play in the digital revolution underway. Most technologies showcased were wonderful. However, details of evolved workflows that should lead to widespread adoption were lacking. Business cases were often based on energy savings, if, solutions were adopted. Often, solutions were not adopted. Consensus was that buildings have multiple stakeholders with differing agendas. Property owners, occupiers and managers are somewhat resistant to change due to misaligned interests. In other words, for property, we’re in the very early-adopter phase of the digital revolution. I’ve a slightly different perspective. Property people are constantly searching for ways to make buildings smarter and safer. Anything that results in enhanced customer experience, lower Opex or Capex is desperately sought out. However, beyond investing in pilot projects, they need concrete proof of lasting outcomes. Large scale investments are typically approved if a new approach will deliver better outcomes than the status quo. There is no doubt that contractual arrangements can be further refined. Changes to better align interests of all stakeholders would be welcome. I’ll have more to say on this in future. However, we need not wait for such changes to encourage widescale adoption of PropTech. It’s incumbent on us as engineers and technologists to make a better business case. We must make the benefits of the change so obvious that adoption is irresistible. 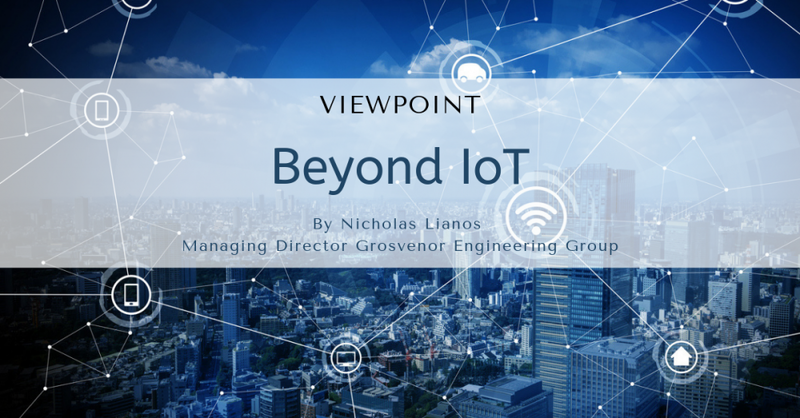 The key is to see these emerging IoT technologies as a human enabler, a maximiser of human potential so to speak. We can’t just tell people that using the technology will make things better citing isolated examples. We must explain how using the technology will make things better. Why will it cause us to work differently? It’s this ‘difference’ that will deliver new value. It’s this ‘difference’ that will deliver better outcomes. We must then guarantee these outcomes! In other words, we must ‘have skin in the game’. IoT, Analytics etc. are new tools. Technicians that maintain buildings should be trained and supported to use them. This will take time, but if done properly, they will gradually evolve to be Building Doctors. This is the Why they need. A whole new class of knowledge workers will arise from this evolution. We’ll have Generalists and Specialist Building Doctors. They will have assistants to triage ‘sick assets’. Others including building occupants will play a vital role. They’ll provide seamless feedback about the indoor environment they’re experiencing or managing. All this data must be synthesised and placed at the fingertips of thousands of technicians and engineers. They will be the ones who’ll realise the potential that PropTech promises. We need to remind our tradespeople that by servicing many thousands of buildings they are keeping people safe, comfortable and productive. These new tools will help them become more efficient. This will make them more valued and better paid. This will provide them new opportunities to make a better life for themselves and their families. For this reason, building service companies like Grosvenor are spending millions annually to capture and synthesise data. This is delivering actionable insights into our technician’s hands. In a similar fashion, in 1998, we pioneered the use of technicians as ‘data gatherers’. This resulted in terabytes of man-made data and new knowledge. This new knowledge was, and continues to be used, to make buildings function better at a lower cost. We see history repeating for machine-data via IoT. Technicians have the passion and ability to fix the machines that give our buildings life. Given their deep knowledge, technicians can help make buildings safer and smarter at a lesser cost than currently possible. They will ultimately make the difference. The three data sets, synthesised correctly, can generate actionable knowledge. They provide each element of a technical system with multiple data points and descriptors. These data tags include machine age, appearance and replacement cost. Economic and performance history, future problems and expenditures are also available. This enables the operator of the asset to make optimum decisions based on all available data. The data can be refreshed continually by technicians and IoT. As data sets grow, it enables development of specific ‘machine’ strategies that can align to property strategies. These strategies can then be applied for entire asset categories. The data can also be used to benchmark ‘machine’ performance across business sectors and customer groups. Asset management across hundreds of thousands of machines in any one property portfolio can be taken to new levels of performance. Integration of these data streams makes this possible. Pro-active action must then be implemented cost effectively. How? By placing actionable knowledge in the hands of technicians who’ve been trained as Building Doctors. It’s important to remember: Technicians are already in the building maintaining the equipment. Now via new tools they can do it smarter, better. How? By pro-actively examining/treating ‘sick’ assets only. ‘Why’ because it means a better future for all. Over the last 20 years we’ve proven time and again that using man-made data can result in hundreds of thousands of dollars in annual cost savings in a property portfolio. It’s done by reducing reactive repairs. Asset life is also extended by doing pro-active repairs. This also eliminates premature Capex thus saving capital. Enhanced customer experience and energy savings are welcome by-products. Imagine the value creation possible when you add machine data to the mix. Imagine the widescale benefits if you apply this approach to tens of millions of machines, in hundreds of thousands of buildings, for thousands of property owners and occupiers. And we’re talking just in Australia alone. Imagine the impact globally across millions of buildings and billions of assets. It’s the guarantee of such cost savings and improvements in the customer experience that’ll drive and accelerate widespread adoption of PropTech. ‘Data integration is exploring the huge untapped potential of computers to manipulate a lot of figures. This, BTW, raises a bugbear of mine. Digitisation, which allows us to measure any number of aspects of a company’s performance cheaply and easily has given rise to enthusiasm for “metrics”. But Bosses who allow their metrics to be chosen and presented by people who know a lot about IT but nothing about the science of statistics or who draw conclusions from those metrics without any knowledge of stats, are asking to be led up the garden path. They never know when the metric is answering a different question to what they imagine’. *Domain Experts = Data Analysts + Optimisation Engineers + Technicians. These people work as one. They’re brought together via service teams dedicated to a property portfolio. Element 1: Auditing = A Picture-In-Time (Does Not Allow Strategic Asset Management) Technical assets make up the systems that give a building life. Auditing makes these technical assets visible for the first time. An auditor also identifies a machine’s remaining life, replacement cost and condition. This is a ‘picture’ as it presents a ‘snapshot-in-time’ of the machines. This single photo does not generate enough actionable knowledge for strategic asset management of each machine and system. It does however form an indispensable component of it. This single photo can be cost effectively delivered by domain experts as part of a maintenance contract. In Grosvenor’s experience data accuracy at audit stage can only be guaranteed via use of dedicated auditors with specialist software tools. It’s critical the data is structured correctly. This allows better data processing that generates new knowledge. Only when such infrastructure is designed by domain experts does the full benefits come about. Data must then be shared. This requires data extraction tools that do more than just display data to others. Data extraction must be a two-way process. Data must be injected and ‘auto’ synthesized into the workflow routines of the people responsible for ensuring the ‘health’ of the machines. Element 3: IoT adds Colour to B&W Movie (Has Potential to Enhance Strategic Asset Management already occurring via B&W Movie) IoT is increasingly allowing previously disconnected assets to be connected to the cloud and instrumented with sensors and self-monitoring tools and communication capabilities. Outstanding issues generated via machine-data algorithms add colour as they complement outstanding issues already generated by man-made data. So, colour is added to the B&W movie. In our experience, however, using machine data in a standalone fashion does not deliver the outcomes expected year-on-year. There are various reasons for this including: Machine data analytics pick up noise in that something is not doing what it should. This is especially the case if algorithms are un-trained early on. Incorrect perceptions and truck rolls can then be perpetrated on a machine if it’s judged only on its machine data with human feedback loop.Despite sophistication of IoT diagnostics there are always external factors, that at this stage, only human observation can connect to the operating life of a machine. Outcome: Man-Made + Machine Data = 3D Movie (Strategic Asset Management at a whole new Level of Performance Not Previously Possible) When you combine machine data with man-made data you can fully contextualise the issue at hand and take the most cost-effective action possible. In our experience technicians generate vast amounts of man-made data and this combination of observations, recommendations (i.e. outstanding issues, quotes etc…) is invaluable to contextualise machine data and take the most cost effective pro-active action. For this reason, it’s vital that Data Analysts, Optimisation Engineers, Work Coordinators and Technicians are brought together in fully Integrated Teams. These teams can be embedded within a customer’s own FM Team. Reactive work requests are triaged via customised software platforms. Validated data can be constantly fed, via two-way data pipelines, into secure cloud-based data lakes. These data lakes are vast, multi-functional data repositories acting as the ‘single source of truth’. The illustration shows the three data sets integrated. Data synthesis generates actionable knowledge. This creates a recurring loop of continuous improvement. This virtuous cycle of service repeats year-on-year. 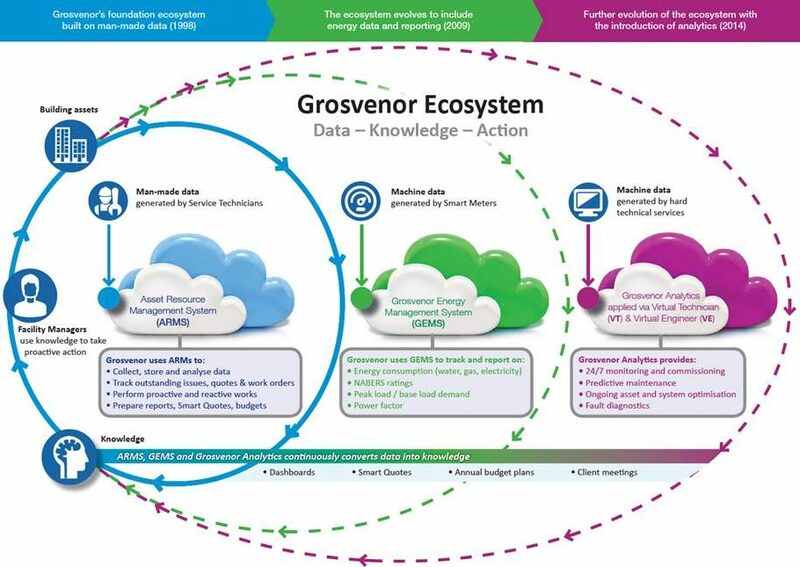 We at Grosvenor call this ‘Data – Knowledge – Action’. Until this data synthesisation occurs in a widespread way with clear proof of long-term sustainable outcomes, we will continue spinning our wheels. The task at hand is substantial. The actors are many and varied. No-one actor has all the answers. We all need to collaborate and overcome the obstacles together as we move down this path. We must realise the future by shaping it. In the process we play our part in making this world a better place. It’s a wonderful goal to strive for. It should be part of our ‘Why’ for working in the property industry.